The UK sees its first dip in FX market share in 10 years. Tokyo, Singapore and Hong Kong’s foreign exchange (FX) market share has surged over the last three years, as the UK suffers its first dip in a decade. 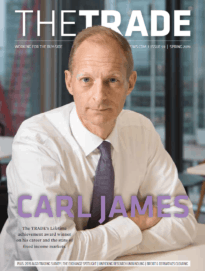 The Bank of International Settlements’ (BIS) triennial central bank survey revealed the UK’s market share of FX trading fell to 37% in the year to April 2016, compared to 41% in 2012/13. Asia’s financial centres - Singapore, Hong Kong and Tokyo - increased their combined market share from 15% three years ago, to 21% in 2016. BIS said the US’s market share of FX remained relatively unchanged, though Europe declined from 9% in 2013, to 8% in 2015/16. This year saw sales desks in the UK, US, Singapore, Hong Kong and Japan make up 77% of all FX trading. BIS also reported that the renminbi doubled its share to 4% and has become the world’s eighth most traded currency, overtaking Mexico’s peso. The renminibi ‘s growth was down to an increase in trading against the US dollar, as BIS revealed that 95% of Renminbi trading volume this year was against the US dollar.